Man and I really like the grille on the G70 compared to the Stinger. 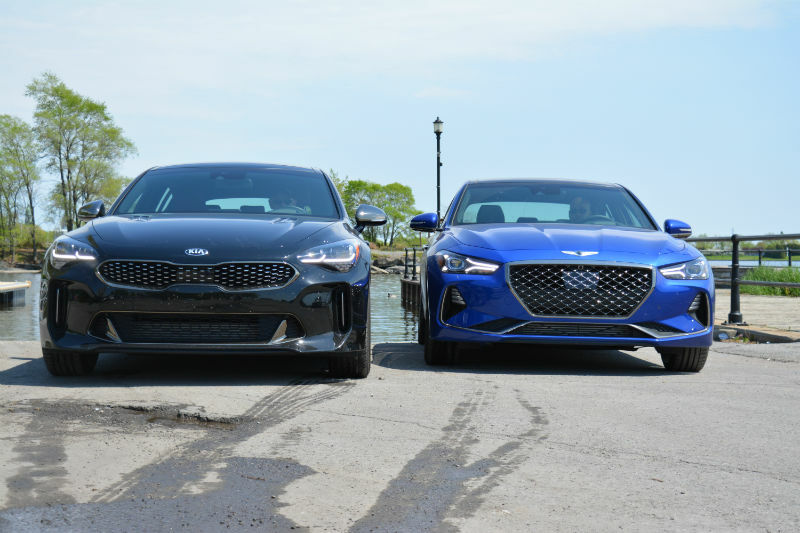 Not that the Kia is bad but I prefer the size on the G70 versus the karp mouth look. I'm just not a fan of the over aggressive grill trend started by Ford and carried over into Lexus with the predator styles. 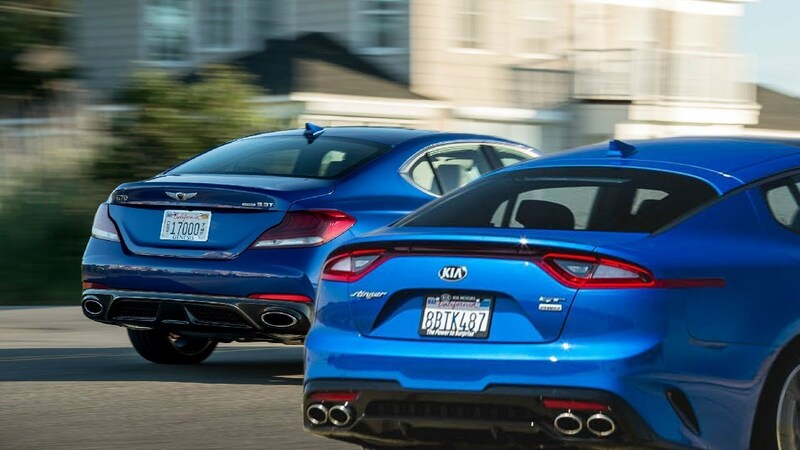 I still agree that the G70 is a much better looking car but I do certain aspects of the stinger better. The door handles, grill, rear proportions of the stinger are great. But everything else on the G70 is just done better especially the paint. Doesn’t look like any tigers I’ve seen! 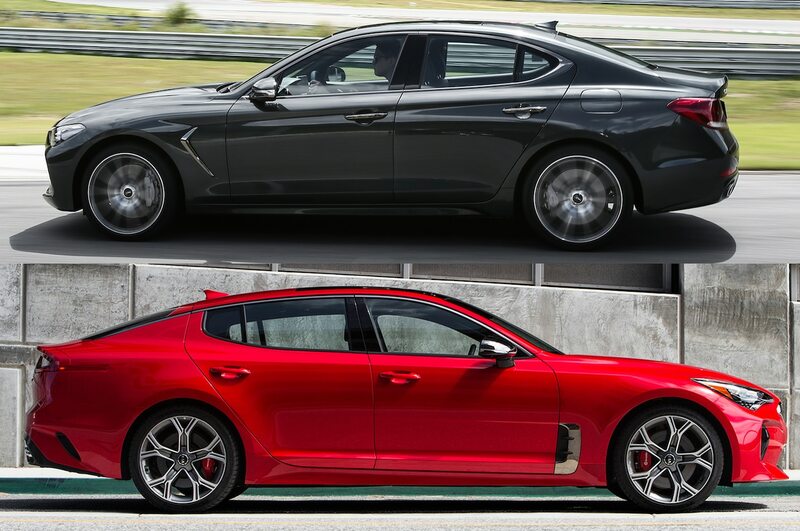 I like the size of the Stinger but much prefer the exterior and interior styling of the G70. I appreciate the body styling on the Stinger to be clear, hood vent applique aside. The rear 'haunches' on both cars are great, I like the aggressive hips that they have, reminds me of my 96 Cobra that has similar very pronounced strong rear 3rd. And it's not that I don't like the Stinger grille, I just prefer the bigger one. To me it suggests performance I guess. The cold the last few weeks has me really irritated by the lack of seat heaters on the app when starting the car. The seats are ice cold and hard as a rock after work even after running for 10+ minutes. On the plus side in this weather the car stays really clean after a wash! Yes! That's one thing I wish they'd add. I mean they added the steering wheel and rear defrost. It must be fairly simple to add? I thought the same thing back to my sonata limited when I used the blue link app. Would put it over the edge I feel. Only car I had that I could put the seats on was my 2010 Sonata. I could hit the switch beforehand and it would stay on. The electronics just aren't blipping up the engine revs when downshifting... sounds like their rev-matching program only gets about halfway... so there's still a slight engine-braking effect. Ideally (IMO), it would rev a little higher and reduce the 'jerkiness' (even in Sport mode). Well the simple factory key fob starter on my Jeep Grand Cherokee is smart enough to turn on the seat heaters when the temp is below zero (not sure the exact temp) and the a/c seats when the temp is about 20 or so. And every Ford starter for the last 5 plus years can as well, plus their app. Just seems like a no brainer and something I just think there is no excuse for Genesis not to have. Auto tilt down (not sure what to call it) where you put the car in reverse and the side view mirrors tilt downward is only available if you have the mirror switch in the non neutral setting. just a weird quirk, and I just found out we had it today! And you don't like having that feature? I hated the double press unlock feature in my past Genesis so I disabled it straight away on my G70. Unless you live in a dangerous area I'd recommend disabling the double press unlock, saved a lot of frustration for both my wife and I as you open all 4 doors with a single press. Actually not as weird as you might think. For the folks that don’t want the mirrors to ever tilt (I rarely if ever use the tilt) they had to pick some position and they chose the center one. I can't remember if this is normal behavior or not anymore. Should you be able to roll up windows while on accessory power? Sometimes I'll be waiting for some friends to show up somewhere and I like to sit with the car off and windows down. But the only way I can roll them up is if I turn on the car? Is that normal on cars? I think you can roll them up...but only before X number of seconds...or before anyone opens a door. The Engine Start/Stop button must be in the ON position to be able to raise or lower the windows. Each door has a Power Window switch to control that door's window. The driver has a Power Window Lock switch which can block the operation of pas- senger windows. The power windows will operate for approximately 30 seconds after the Engine Start/Stop button is in the OFF position.